It was around three years ago that I watched a documentary—Fuel—on our, and more specifically the Americans’, addiction to oil. An email that I circulated among a few friends at that time has prompted me to share those thoughts with a wider audience. What had started off as an innocuous review, and therefore still reads like one, grew into something that tried to make sense of the debate in its wider, more wholesome, context. That was the disclaimer. Now comes the boring part. Produced and directed by the environmental activist Josh Tickell, and released in 2008, Fuel traces the history of a single man’s crusade against the oil problem. Although focused on the American economy and the role it has played in aggravating the fallout of the oil crisis, I found the debate to be quite pertinent for any person who has made an effort to take stock of the situation. Oil is a problem. It taxes ordinary citizens to subsidise multi-billion dollar oil companies, entangles people in costly wars and complex foreign policy, and, of course, threatens the long term stability of the planet itself. But the question that bothers most of us is: can one make a difference? Josh comes off as an emotionally motivated romantic who jumps headfirst into this holy war just to make sure that his new home in Louisiana looks the same as the place where he grew up—the scenic Australian Outback. Not surprisingly, the initial half of the movie comes across as an advertisement for the most popular (and feasible) alternative—bio-diesel. But there is more to it than just that. It explains the environmental fallout of crude oil processing and the long term effects it can have on native flora and fauna—genetic mutations, reduced fertility rates, unpotable drinking water, the whole shebang. 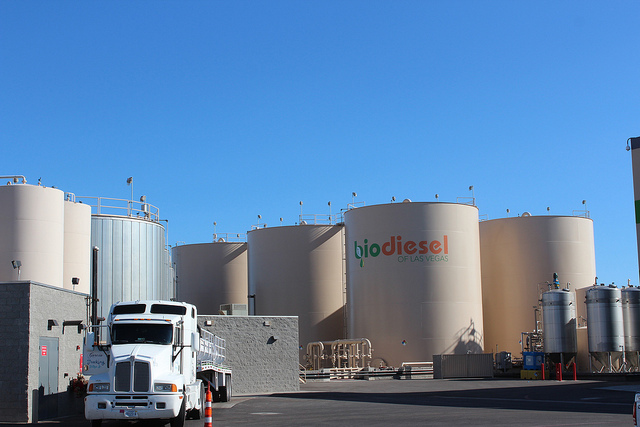 For those who don’t know, bio-diesel refers to a vegetable oil- or animal fat-based diesel fuel that is typically made by reacting vegetable oil or animal fat with alcohol. Most diesel engines can run on bio-diesel without any major modifications. Moreover, current performance and emission standards of most diesel vehicles are at par with those running on petrol. Bio-diesel’s available, it’s clean, and it can be grown in your kitchen garden. If these reasons are not enough, how about bio-diesel being much cheaper than petrol? So why is it still the ‘alternative’, the outcast? Political will is one thing, social will another, but economics is what really drives the system, isn’t it? Henry Ford designed his Model T to run on ethanol—a bio alternative to petrol that is made from corn. Henry Ford designed his Model T to run on ethanol—a bio alternative to petrol that is made from corn. 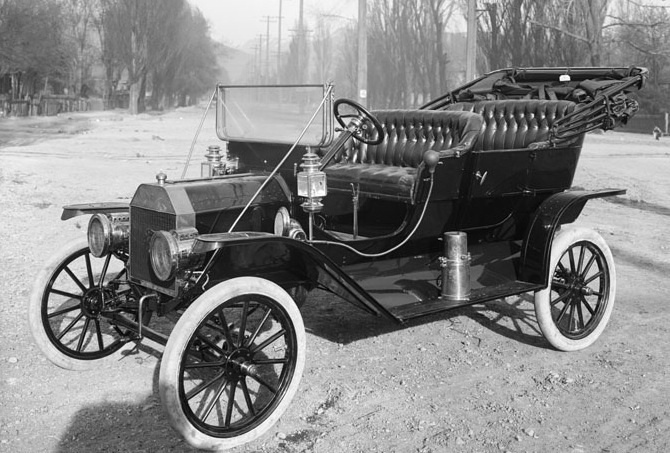 Launched in 1908, Model T was the first automobile affordable by the burgeoning American middle class. The success of Model T meant that Ford’s ethanol captured nearly 25% of the oil market, ringing alarm bells at Standard Oil. It was around this time that Rockefeller started lobbying for an amendment to the U.S. constitution that would become the Volstead Act of 1920 or the National Prohibition Act. By making the production and distribution of alcohol (including ethanol) illegal in the U.S.A., a death blow was delivered to Ford’s ethanol dreams. Yet, he continued to manufacture ethanol alcohol-compatible cars for the next 12 years, before eventually giving up in 1932. A year later, in 1933, the Volstead Act was repealed. Plagued by claims of monopolising the energy market and interfering in government affairs, the US Justice Department broke up Standard Oil into 34 independent companies. Around 88 years later, two of the largest factions of Standard Oil—Exxon and Mobil—merged to form one of the largest corporate conglomerates in the world, Exxon–Mobil. Though its production might have already begun to level off and some hope that “people will run out of demand before they run out of oil”, Americans seem to believe that they can keep consuming oil without ever running out of it just because they need it so much. They consume 25% of the world’s output even though they constitute just 4.5% of its population and have a measly 2% of its oil reserves. There is no way they can drill their way out of this, even if they set up rigs that go 15,000 feet below the sea level—a feat that is technologically more superior than putting a man on the Moon. Of course, the current oil crisis is not the first one. In 1973, the Arab member nations of the Organisation of the Petroleum Exporting Countries or O.P.E.C. imposed an embargo on the United States in response to its support to Israel during the Yom Kippur War. The embargo was withdrawn in March 1974 only after Israeli troops withdrew from parts of the Sinai Peninsula, but not before oil prices all over the world had skyrocketed—another proof of the kind of influence oil wields in determining the geo-politics in the Middle East. Political will is one thing, social will another, but economics is what really drives the system, isn’t it? Fast forwarding to the present, US policy over the last few decades has sought to replenish its oil coffers by looking at options beyond its boundaries. The debt incurred due to these endeavours runs to nearly 3.5 trillion U.S. dollars. The only way to deal with it is to either declare bankruptcy or find oil elsewhere. The U.S. seems to have opted for the second option. Since Iraq has second largest oil reserves in the world, it doesn’t take an Einstein to figure out the real motivation behind the Iraqi invasion. Till date, no weapons of mass destruction (W.M.D. ), which ‘threatened’ the security and integrity of the coalition states, have been found in Iraq. However, huge multi-million dollar conglomerates have already set up shop there. It would appear here that by making huge donations to the government and handpicking the people with power, the big oil companies (Exxon–Mobil, Chevron Texaco, B.P., etc.) are dictating the American energy policy. If the situation is that bleak and if the leaders of the world play poker, what alternatives are left to choose from? The second half of the documentary discusses alternative fuels and their pros and cons. It begins with a tour of the European nations (like Germany and Sweden) who have taken into account a long term view of the energy crisis and have subsidised biofuels (thereby making them much cheaper than conventional fuels) in order to prepare themselves for the future. But the alternative does not exist in an economic or political vacuum; it is argued that the large scale corporate farming of soybean (the chief ingredient of bio-diesel) is leading to deforestation of huge tracts of lands in the Amazon, robbing indigenous population not only of forests but also of land to grow food grains. Is our production of biofuels as environmentally catastrophic as fossil fuels? Photograph by United Soybean Board. Brazil ranks as the top exporter of soybean in the world and is faced with a dilemma: allow widespread (and profitable) destruction of the rain forest to continue, or intensify conservation efforts. Conservative estimates claim that in the last 40 years, close to 20% of the Amazon rain forest has been cut down—more than in all the previous 450 years since European colonisation began. Blairo Maggi, the governor of the Brazilian state of Mato Grosso and owner of Andre Maggi Group (the largest exporter of soybean in the world), has made environmentalists squirm in their chairs by saying: “To me, a 40 per cent increase in deforestation doesn’t mean anything at all, and I don’t feel the slightest guilt over what we are doing here. We’re talking about an area larger than Europe that has barely been touched, so there is nothing at all to get worried about”. The Fuel vs. Food debate ignores the fact that conventional fuels like petrol and diesel are worse off than biofuels like ethanol and bio-diesel. The entire process of making petroleum products from crude oil is highly inefficient. So much so that for every unit of energy that is put into production, only 0.8 units of energy are eventually obtained in the form of end products. On the other hand, biofuels score highly in this test—ethanol contains about the same amount of energy as is required in its production while bio-diesel contains three times the number. And yet, that is not the complete picture as corn and soybean are grown in huge mono-crop farms where large amounts of fertilisers, pesticides, and other chemicals are used in order to enhance productivity. Often, these chemicals seep into the water table and pollute the entire catchment area. Not to mention that some countries, like Brazil, allow deforestation to make space for such farms. So is our production of biofuels as environmentally catastrophic as fossil fuels? The Fuel vs. Food debate ignores the fact that conventional fuels like petrol and diesel are worse off than biofuels like ethanol and bio-diesel. Perhaps, the answer partially lies in the next generation of biofuels which can be produced largely from waste products or run offs from other kinds of industries, such as fisheries or poultry. In a sustainable society, waste must equal fuel. Recently, algae have been used to convert waste biomass into biofuels by using the carbon dioxide (CO2) from the atmosphere. This process of conversion is quite similar to how oil was first produced on Earth. The production of biofuels from algae does not reduce atmospheric carbon dioxide, because any CO2 taken out of the atmosphere by the algae is returned when the biofuels are burned. They do, however, potentially reduce the introduction of new CO2 by displacing fossil fuels. Various other fuel alternatives might also become economically sustainable in the near future, provided they get the required institutional and governmental support. We do not live in an age of revolutions anymore. They are far too disruptive. At the same time, individual will can lead to collective consciousness and ultimately result in sustainable change. Energy efficiency and conservation start right at our doorstep and are the cheapest and quickest ways to deal with the energy crisis. Oil is going to become such a scarce (sacred?) commodity in the future that we don’t even know what the next war is going to look like. Is it too late? If not, what can one do? Despite some answers lying in the future and several lessons biding their time in the ignored past, what is important is that we consume with care. Reusing those plastic bags might be a small gesture. But when several such gestures get together, they might have the desired impact. Was it Gandhi who said, “When the people will lead, leaders will follow”? 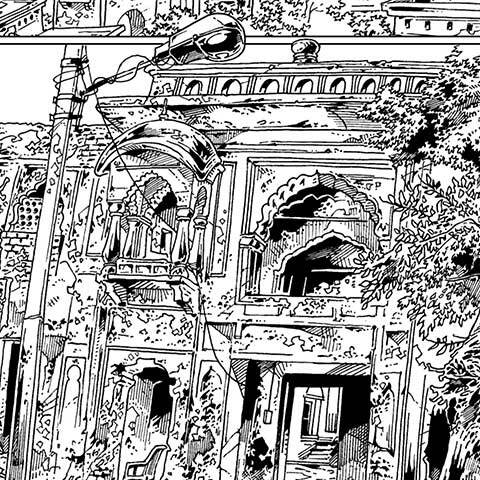 By Shikher Chaudhary · What exactly is worthy of being called art? What distinguishes an ostensible piece of art from an everyday artefact? By Sapna Bhavnani · 1.027 billion people, living in 0.3 foot crammed spaces, longing for personal space.